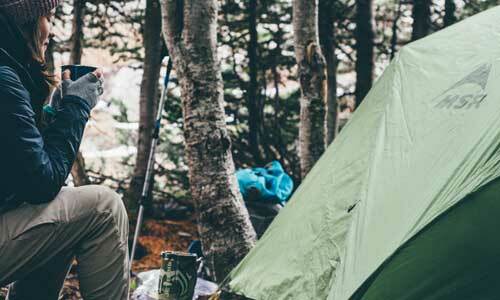 You’ll want a very light (read: small) tent for backpacking. 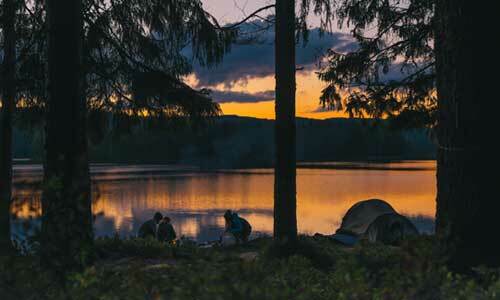 Camping tents should have plenty of head- and elbow-room; in other words, they should be large. Can such opposite qualities really be reconciled in a single tent? Yes, they can! 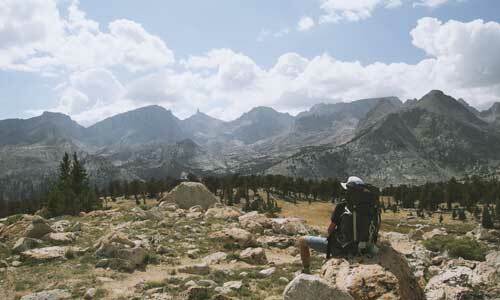 There are a number of backpacking camping tents that reside in the “sweet spot” between light weight and livability. It helps to think about what you’ll use the tent for most often. 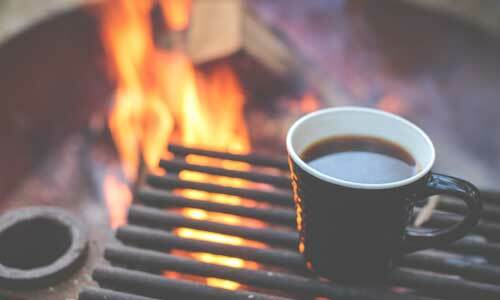 Will you be camping most of the time? You’ll want the largest tent with an acceptable weight. Backpacking? 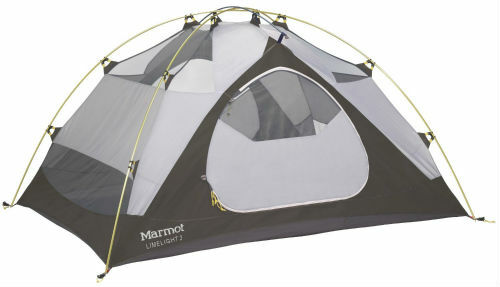 You’ll want the lightest tent with an acceptable size. The third modifier is price. If you have money to burn, you can get a really light and large tent. If you’re looking for a bargain, you’ll have to compromise on both qualities. One “trick” to getting a larger tent without much added weight is to look for a backpacking tent with a higher capacity than you need. So if you normally hike with one partner, look for a 3 person backpacking tent. You’ll get the extra room you need for camping, plus you have the flexibility to accommodate a third person when backpacking. Be sure to buy a footprint (or make one yourself) for when you are camping. It will extend the life of your tent. 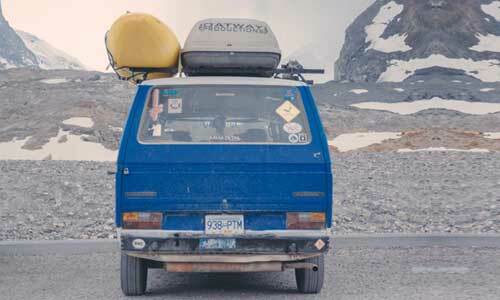 Leave it at home or in the car to save weight when backpacking. Below are the best ones I found organized by category. I couldn’t believe my eyes when I picked up the Limelight 3 at my local camping store, looked at the features and then saw the price. I was so impressed that I came back later and bought it. Lots of space, generous headroom, steep sidewalls and large vestibules make this tent a castle for two. Great for camping, it’s heavy for backpacking (unless you’re taking three people). 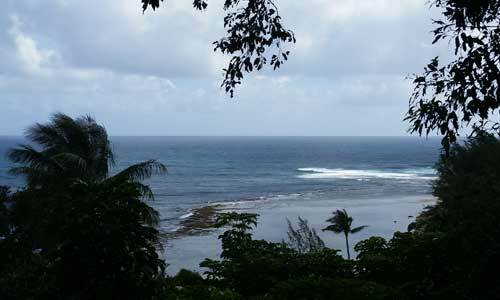 Bonus: A footprint and gear loft are included at no extra charge. The Eureka Apex 2XT is a great bargain for a backpacking tent, and it has just enough floor space and headroom to be comfortable when camping. 2 doors and 2 vestibules make for convenient entry and gear storage. 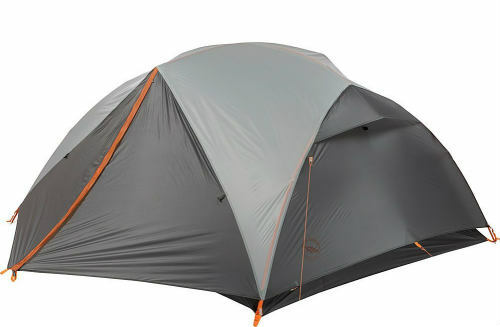 The Quarter Dome T3 won an Editor’s Choice Award from Backpacker Magazine for 2008. An innovative pole design creates lots of livable space for two with minimal weight. For what you get, the price can’t be beat. 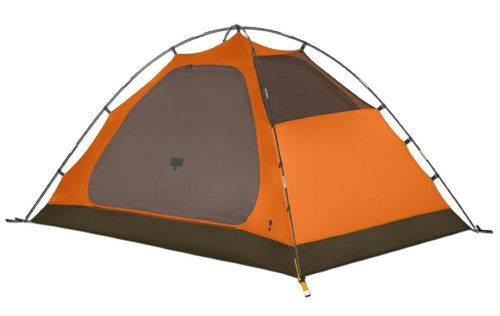 The Big Agnes Copper Spur UL 3 also won an Editor’s Choice Award from Backpacker Magazine for 2008. With an unbelievable space-to-weight ratio, great headroom and steep sidewalls, this is the perfect backpacking camping tent. Unfortunately, perfection comes at a steep price.